Joan of Arc is adored and venerated in France. 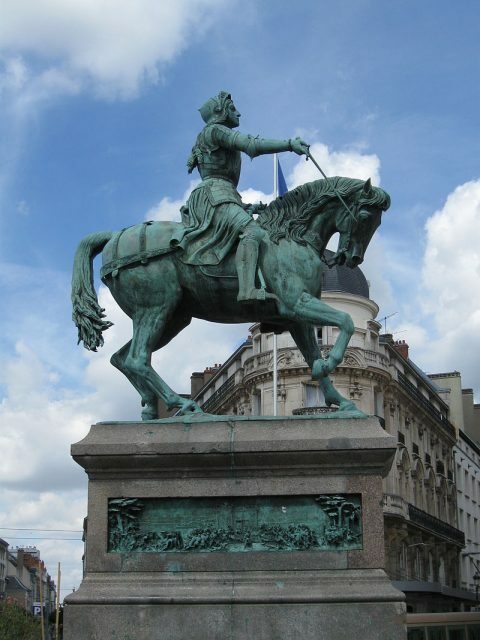 There are statues of her throughout the country, especially in places like Paris, Rouen, Orléans, and Reims. Although condemned by the Catholic Church and publicly burned at the stake in Rouen in 1431, such was her revered status as a military and religious figure that it was not long before people started believing that she had somehow miraculously survived. And a few people, most notably Claudes des Armoises, took full advantage of this. Another scenario is less wholesome – the brothers went along with Claude because all three of them thought they could make some money from the scheme. 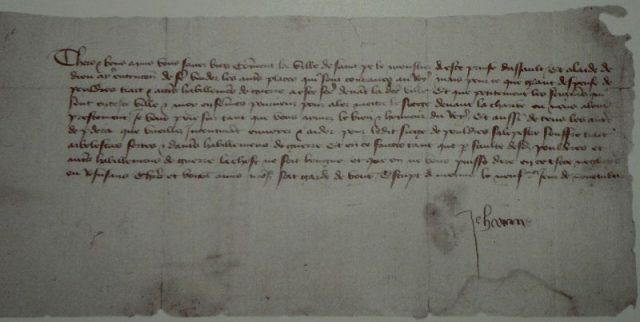 Regardless of their reasoning, the brother’s took Claude to see Nicole Louve, who had witnessed the coronation of King Charles VII with Joan in 1429. 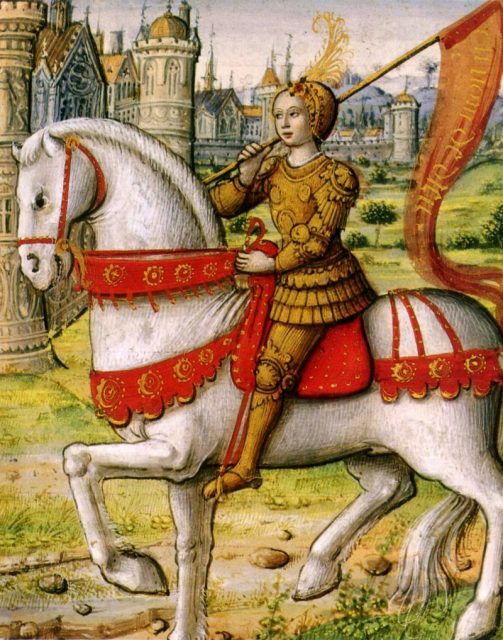 Also believing her to be the real Joan of Arc, Louve gave her a horse, a hooded cloak, and a sword. That she could ride a horse well was remarkable, and lent more credibility to her story; most peasants at the time were not experienced horsemen or horsewomen. 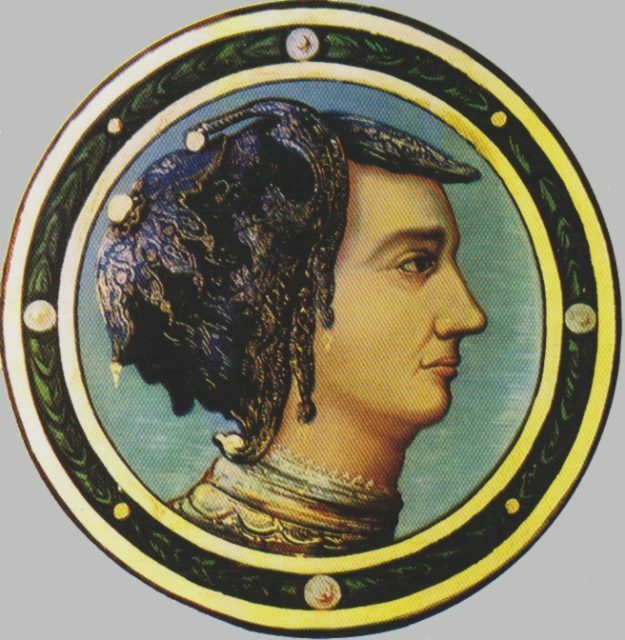 Like Joan, Claude wore her hair short, in a men’s style, and had already posed as a soldier in the army of Pope Eugene IV, where she allegedly did away with two men during a rebellion in Rome in 1435. She spoke almost exclusively in Christian parables, which enabled her to cloud certain facts and contributed to her mystery. Together with her “brothers” and two more nobles provided by Louve, Claude and her entourage traveled across north eastern France to Arlon and the court of Princess Elizabeth of Luxembourg, whose husband had fallen in the Battle of Agincourt in 1415. The princess lavished the party with gifts. It was here that Claude also became embroiled in a dispute over the investiture of the bishopric of Trier. Ruprecht compte de Virnebourg, who had fallen in love with “Joan”, supported one of the contenders, Ulrich von Manderscheid. He put Claude/Joan in charge of a mercenary military unit, which was to be sent to the German city of Cologne to support Manderscheid, who ironically had once been excommunicated. And, according to the chronicles of the city of Cologne, the “maid of France” arrived on August 2, 1436. Sensing that it was time to leave, and fast, Claude returned to Arlon. 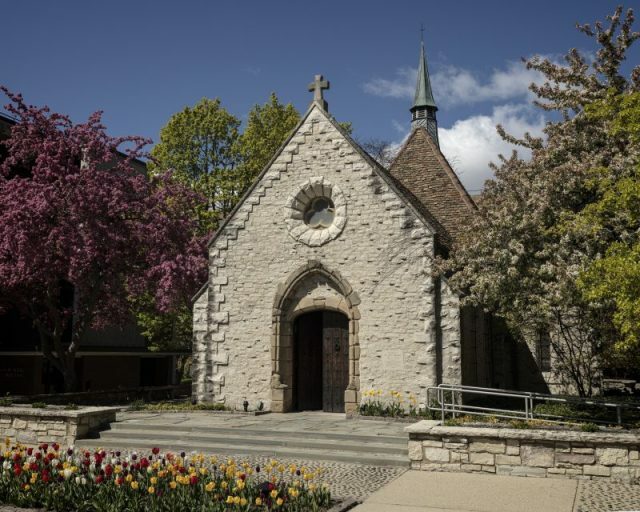 Kalteisen nevertheless excommunicated her for witchcraft, wearing men’s clothes — as did the real Joan of Arc — and supporting the “wrong” candidate for the bishopric. Back in France, Claude enjoyed relative safety. She married a knight by the name of Robert des Armoises, with whom she had two children. But, in 1439, Claude began to sense that her time as an impostor was coming to an end. 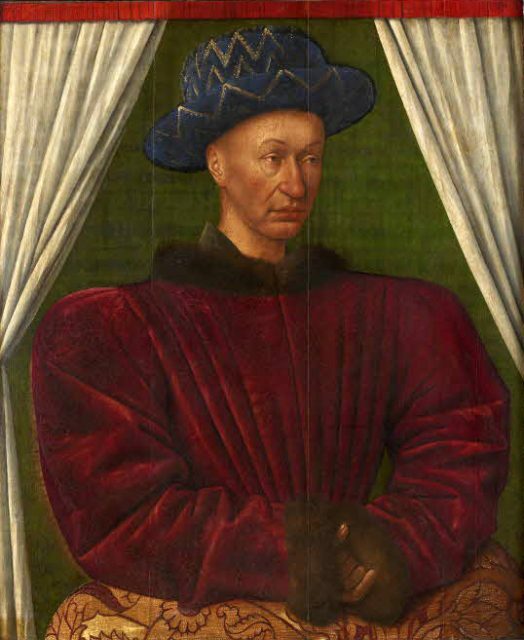 A few months later, Claude was called to meet Charles VII himself, whom the real Joan had helped put on the throne. Rightly suspicious, Charles devised a plan: he would send someone in his stead to meet Claude, claiming to be the king. But Claude knew, likely from royal gossip among the nobles with whom she had spent so much time, that the king wore a soft boot on one of his feet as a result of ulcers. Noticing that the man she faced did not, she called his bluff and went to Charles VII himself. Astonished, he said, “You are welcome back, in the name of God, who knows the secret that is between us.” He was not referring to his foot, however. Claude did not, in fact, know of the secret between Joan and the king (to this day, no one knows exactly what it was) — she fell to her knees before him and confessed to being an impostor. Fortunately, neither Claude nor Joan’s brothers were punished for their fabrications. Claude returned to her husband and lived a relatively uneventful life until her end in 1449. 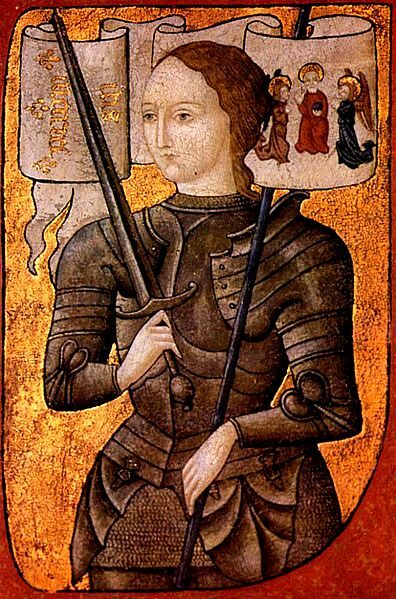 Her epitaph refers to her as both “Jehanne du Lys”, as well as “Jehanne du Lyss – La Pucelle de France” – a reference to the real Joan of Arc. That people knew she was an impostor and still had a hard time letting go is not unusual. When a historic (or famous) person dies suddenly, it can be very hard for the public to let go. 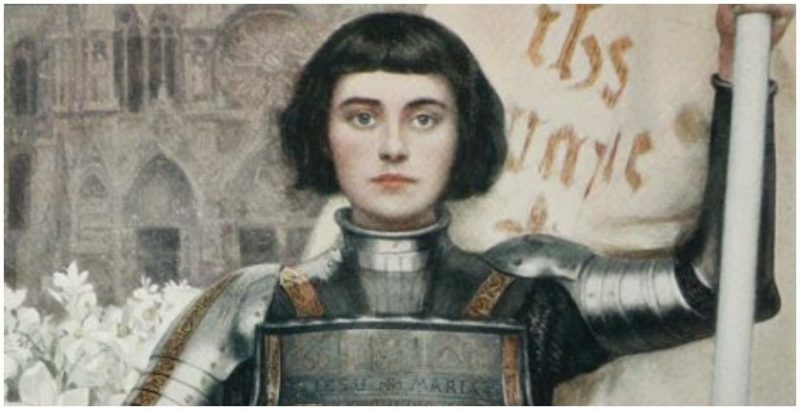 And in medieval France, in the throes of the Hundred Years War, it is not at all surprising that people wanted to cling to something, anything, to believe that their beloved Joan of Arc was still with them. 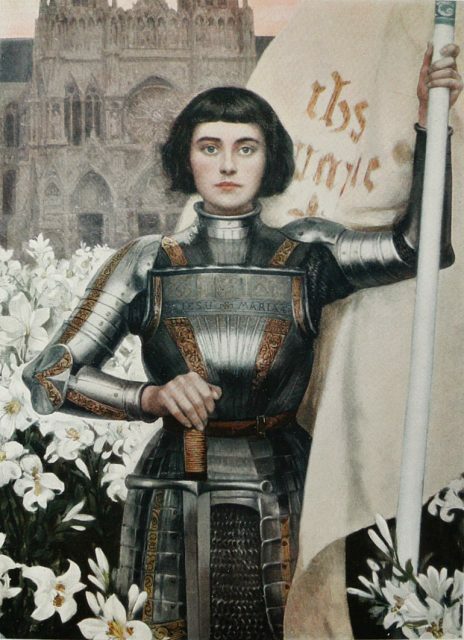 Joan of Arc was given a posthumous retrial in 1456, which declared her innocent and annulled her sentence. She became a saint in 1920.